Kerckhaert has addressed the problem many farriers run into with the warm blood influence in the market. Sizes 6 & 7 fill a much needed gap in shoe size selection in the market. 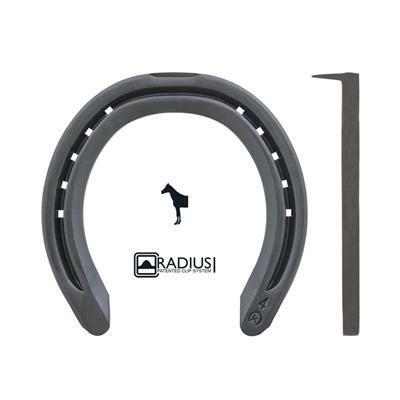 Creased through the toe, with an inner bevel and solid heels, this shoe series provides an excellent choice for the larger riding horse. Century Big Foot Fronts are symmetrical.